CertainTeed is committed to resource conservation. Our roofing manufacturing facilities recycle close to 90% of production waste into asphalt materials used for road construction. We also integrate recycled content into packaging materials such as corrugated rolls and Kraft paper. CertainTeed diverts over 250,000 tons/year of slag, stone granules, corrugated mixed paper and sludge from landfills by recycling this material into our products reducing the release of CO2 that would result from the extraction and processing of virgin raw materials. CertainTeed produces steep-slope roofing products that help to reduce energy costs and overall CO2 emissions from buildings. 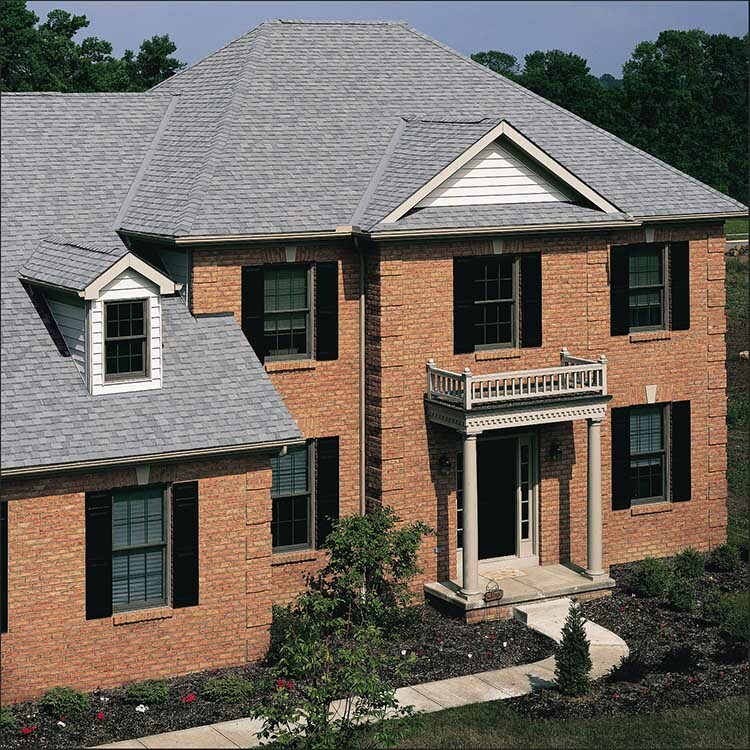 The CertainTeed Solar Reflective Shingles Collection uses advanced roofing granules that reflect solar energy and radiate heat far better than traditional roofing shingles, reducing your roof's temperature in the summer. 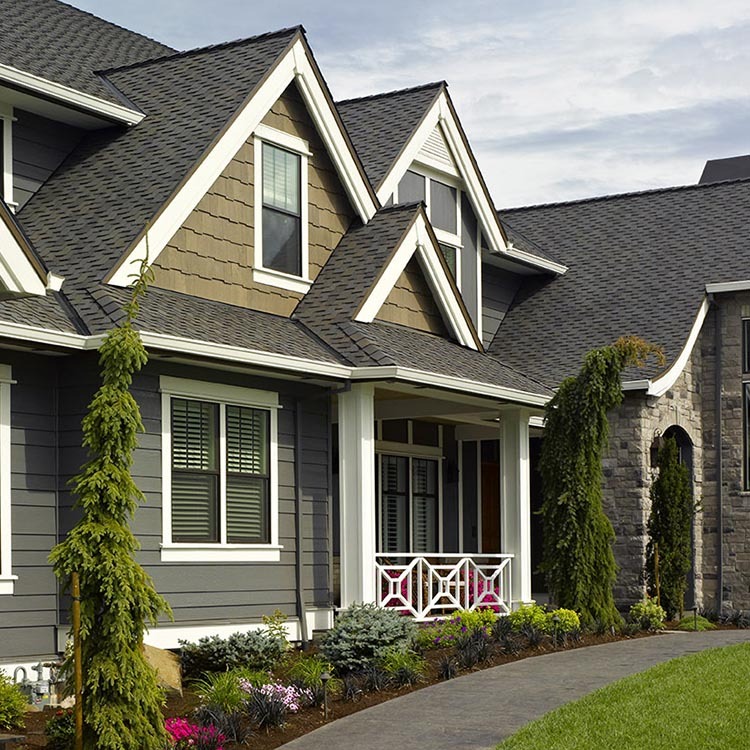 These Energy Star® shingles can be used to comply with the 2016 California Title 24 Part 6 Cool Roof Requirements. 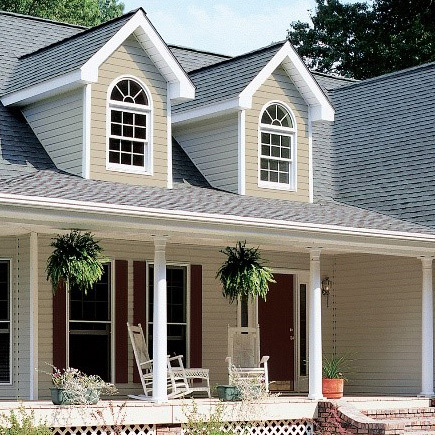 Landmark® Series shingles in silver birch and mist white and CertainTeed's CT™20, XT™25 and XT™30 strip shingles in Star White are also ENERGY STAR qualified steep-slope roofing products meeting both solar reflectance and thermal emissivity requirements. Presidio® and Matterhorn® Metal Roofing products' Tri-Pigment Reflective Technology turns a normal metal roof into one that can reflect more than 70 percent of solar heat - dramatically reducing your home's total energy costs and carbon footprint.